The shoulder clod is a well-muscled area with a large proportion of muscle and muscle tissue and is made up of both tough and tender meat. The meat typically has a deep color and a strong flavor. 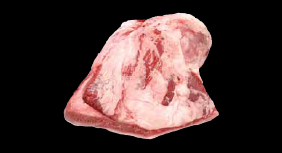 It can be divided into cuts for sukiyaki, barbecuing and steak etc.